Today’s image for Day 332 of the VM_365 project shows the farmhouse of Lower Gore End Farm, Minnis Bay, Birchington which was established around 1540 or earlier. Old Bay Cottage along with Elder Cottage formed the farmhouse of Lower Gore End Farm, all that remains of this farmstead which would originally have been isolated, away from the focus of the village at Birchington to the east. The farmhouse was originally detached and was located with its gable end facing on to the farmyard. Historic maps indicate that working farm buildings were located on two sides of the farmyard which faced side on to the route from the village of Birchington to Minnis Bay, now known as Minnis Road. Old Bay Cottage, on the right of the image, is the oldest part of the farmhouse and was built in the 15th century as a two storey timber framed cottage with a tiled hipped roof and close studded timbers. The porch, which is just visible, was a later addition. 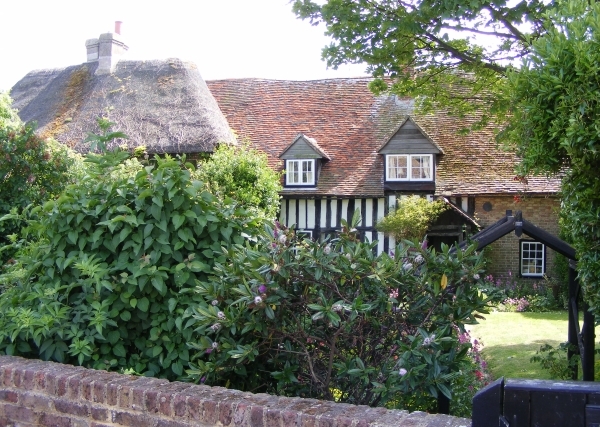 The thatched roof visible on the left side of the image belongs to the 18th century extension known as Elder Cottage. Lower Gore End Farm was quite isolated in the early to mid 19th century and surrounded by agricultural land, with Minnis Creek nearby still flooding nearly as far as the farmstead at the spring tides. It was probably still possible to have a clear view of the parish church of All Saint’s, Birchington from the farm although by the 1870’s new roads were beginning to be laid out at Minnis Bay, west of the relatively new railway line and brickfields were beginning to encroach on the agricultural land. By the late 19th century the farm was nearly surrounded by brickworks and by the 1950’s was surrounded on the north, east and west sides by suburban development focussed on Minnis Bay. Nowadays the farmhouse is all that survives of the farmstead, completely surrounded by suburban development but still remains as an indicator of the once isolated rural character of Minnis Bay. Today’s image for Day 328 of the VM_365 project shows the south porch of the parish church of St Laurence the Martyr, Ramsgate which previously featured on Day 326 of the VM_365 project. The south porch was constructed in the 15th century around the same time as the upper stage of the tower. The 15th century porch which incorporates a lamp bracket, conceals the original Norman rectangular doorway which is visible inside along with the water stoup. 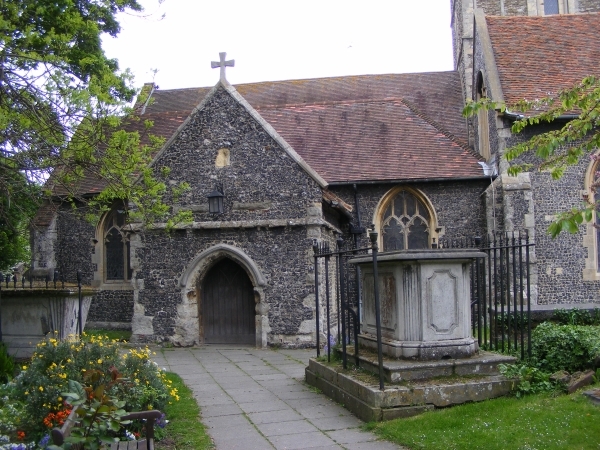 In front of the south porch you can see two of a number of railed tomb monuments which have been erected in the churchyard. The one to the left of the porch dates to the mid 19th century and the one to the right is of early 19th century date providing another illustration of the complex archaeology of church buildings and their associated yards which were so central to the Christian communities of the early medieval to modern period. Today’s image for Day 326 of the VM_365 project shows the parish church of St Laurence, Ramsgate viewed from the western end. 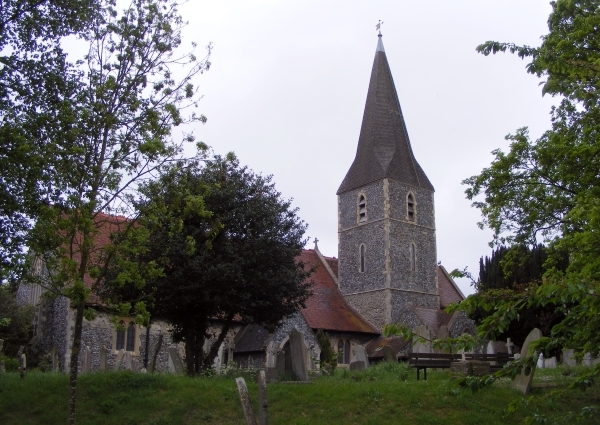 A church at St Laurence was founded in 1062 and the church is mentioned in Thorne’s Chronicle of St Augustine’s Abbey when it was given to the Abbey in 1124. The church like St John’s, Margate and St Peter’s, Broadstairs was one of the chapels to the Mother church at Minster which featured on Day 322 of the VM_365 project until it became a parish church in its own right in 1275. 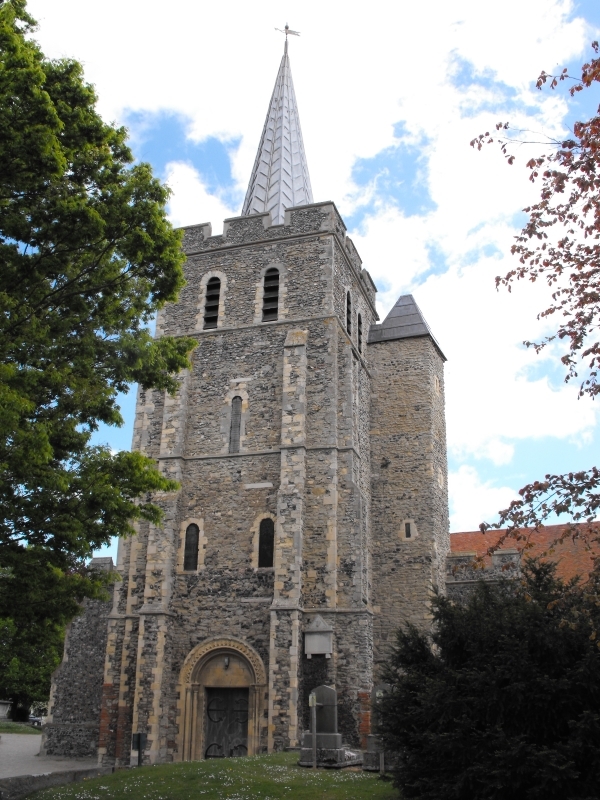 The church followed the same pattern as the churches of St John and St Peter, being enlarged in the late 12th century and the naves, arcades and the tower; which is constructed of Kent ragstone and flint with Caen stone dressings, are of this phase. The upper part of the tower with its crenellations is clearly different from the lower stages and dates to around the 15th century along with the construction of the south porch. The churchyard contains a number of tombstones dating to the early 18th century, mainly located within two or three metres of the northern side of the church, that are decorated with crossed bones and winged cherub’s heads. VM_365 Day 323 The parish church of All Saints, Birchington. The image for Day 323 of the VM_365 project shows the parish church of All Saints, Birchington. The church is located on high ground approximatley 1.2 km (¾ mile) from the coast and although now heavily built up, the landscape would have been open all the way down to the sea until around the mid 19th century. The churchyard is large and open and has been terraced along the hillside to accomodate the 19th century extension to the graveyard. 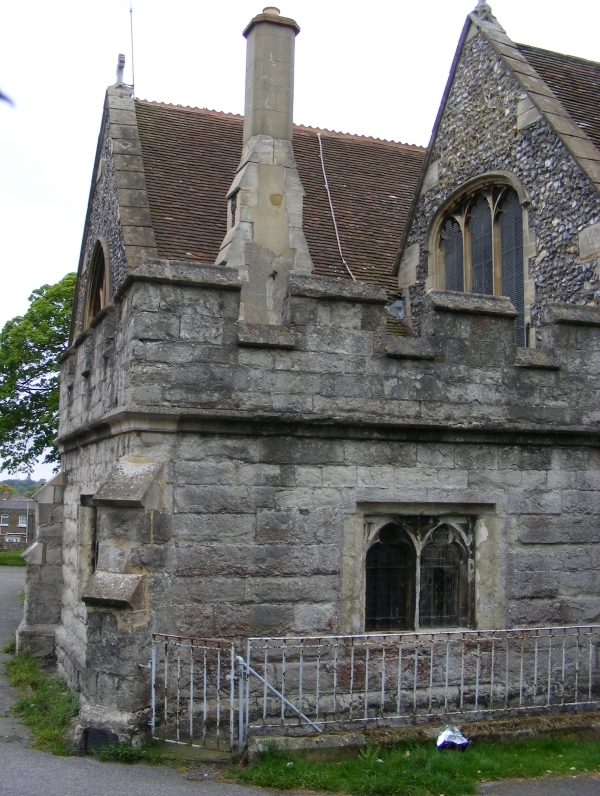 The church was a chapel to the church at Monkton along with Woodchurch/Acol and was part of the possessions of Christ Church Priory, Canterbury until the Dissoloution when it was passed to the Dean and Chapter of Canterbury. All Saints was constructed in the 12th century or earlier using flint and Caen stone and had already been aisled by the late 12th century. The earliest surviving fabric exists in the lower outer aisle walls, with some reused Caen stone blocks in the upper face of the south west aisle and the south doorway, although restored in the 1860’s, retains two capitals dating to the later 12th century. Two of the reused blocks may be from the tops of earlier Norman windows associated with the phase before the construction of the aisles. The chancel was rebuilt in the earlier 13th century, flanked by two new chapels to the north and south and a new tower was constructed. The south chapel, dedicated to St Margaret extended under the tower, the chapel on the north side was dedicated to Our Lady. Both chapels were later dedicated to the Crispe and Quex families. The nave arcades were rebuilt in the 1340’s and a new chancel arch added using flint and Rag stone. The 14th century north doorway, which was blocked in the 1860’s still survives. 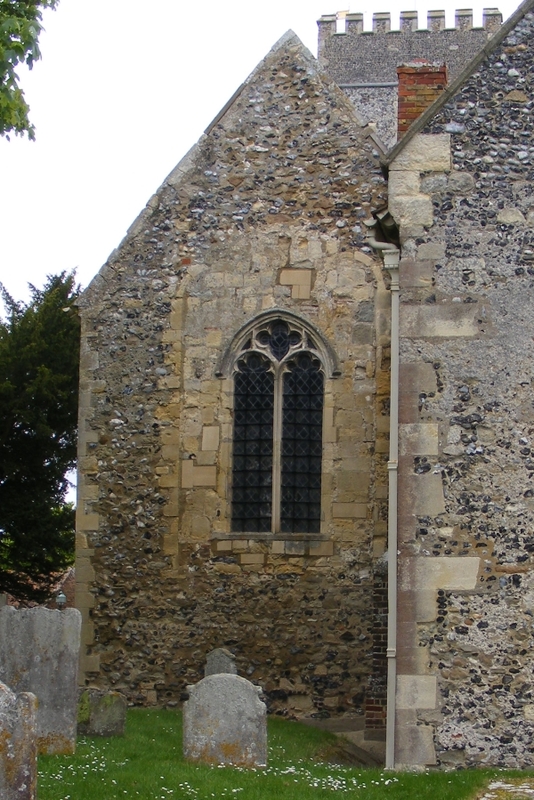 Most of the later medieval features were removed from the church probably when the whole of the exterior of the church was heavily refaced and ‘restored’ in the 1860’s using flint and Bathstone. New vestries were added to the south east of the church in 1910-11. The founder of the Pre-Raphelite movement, Dante Gabriel Rossetti; poet, painter and illustrator, died at Birchington in 1882 and is buried in the churchyard. His monument is located near the south porch. The image for Day 322 of the VM_365 project shows the eastern end of the church of St Mary the Virgin, Minster in Thanet. 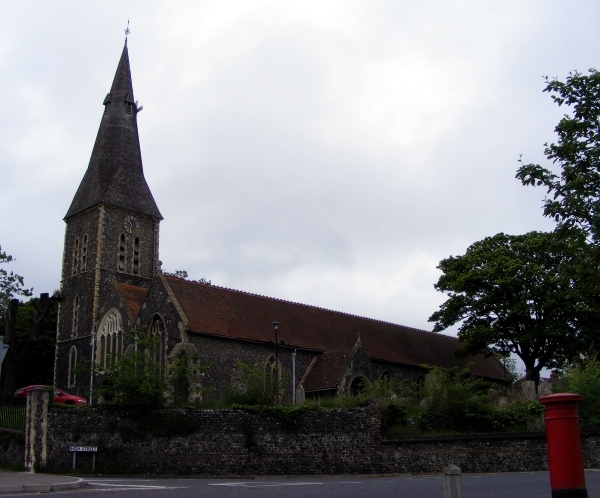 The church was constructed with a mixture of water rounded flints and Thanet beds sandstone, with Caen stone , Reigate stone and Ragstone used as dressings in the medieval period. Bathstone was used to construct some of the 19th century elements. A nunnery was founded at Minster in the late seventh century, which existed until it was destroyed by Viking incursions in the early 11th century. A church on or near the location of the present church would have been associated with the nunnery from its foundation. 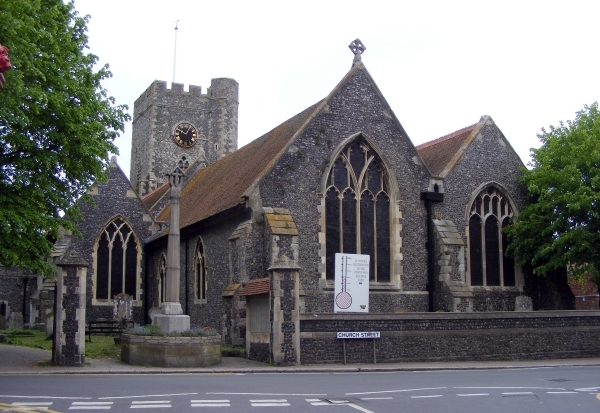 This church would also have been the main church in Thanet. 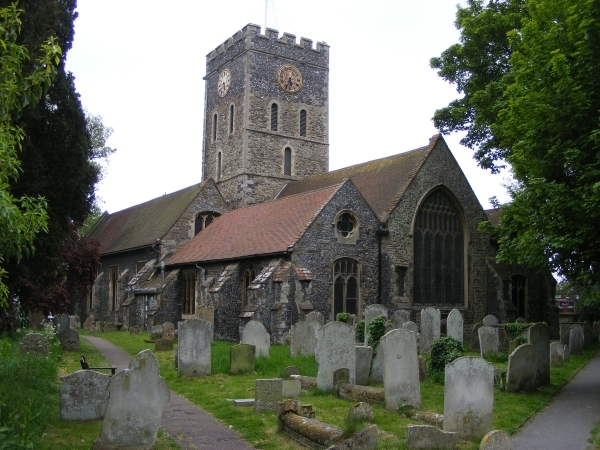 Minster became the mother church to the four chuches of St John the Baptist at Margate, St Lawrence at Ramsgate, St Peter at Broadstairs and All Saints, Birchington. The church and the manor of Minster was given to St Augustine’s Abbey, Canterbury in the early 11th century, when the monastic grange of Minster Abbey near the site of the present church which featured on Day 310 of the VM_365 project was established. 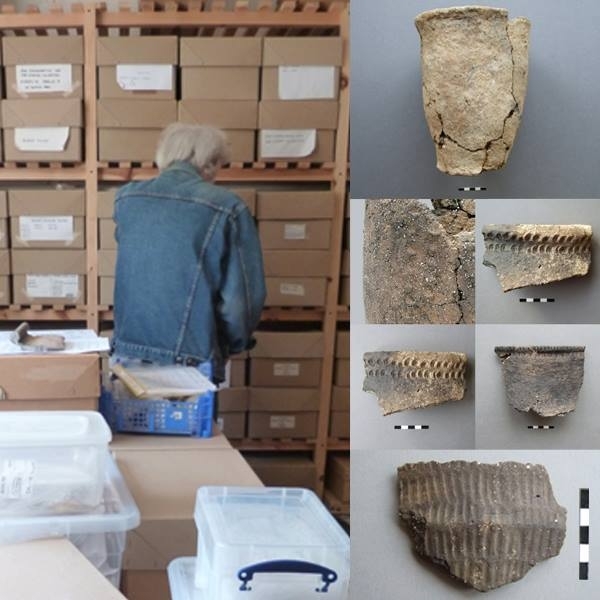 The fabric of the present church originates in the Norman period, probably on the site of the earlier Anglo Saxon church building, although no evidence of the earlier church seems to survive in the the building. The four churches of Minster, St John the Baptist, St Lawrence, and St Peter were possessions of St Augustine’s Abbey, Canterbury unlike St Mary Magdalene, Monkton which featured on Day 317 of the VM_365 project and belonged to the estates of Christchurch Priory, Canterbury. Parts of the early Norman church at Minster survive in the nave. The nave walls were pierced for arcades In the mid 12th century, to expand the space into newly constructed north and south aisles. In the late 12th century the western tower was added and in the lower sections of the tower reused Roman brick, probably originating from the nearby Roman villa at Abbey Farm, was used in its construction. The reused Roman brick can clearly be seen in the image above. The eastern part of the church was rebuilt in the early 13th century, forming a cruciform church with large lancet lights. The outer walls of the south aisle and east part of the north aisle of the nave were rebuilt and new windows were inserted in the early 14th century. Crown-post roofs were built in the 15th century and at the same time the top of the tower was rebuilt with a timber spire and a crenellated parapet. The stair-turret which can be seen on the right handside of the tower in the image above may also have been rebuilt at this time. The church was heavily restored in the 1860’s, when the north aisle was completed as part of the restoration work. Jones, H, and Berg, M. 2009. Norman Churches in the Canterbury Diocese. The History Press.